Sent to Taupo District Council 40 sec later. Illegal dumping of rubbish behind number 7 Raukawa Crescent adjacent to the Telephone exchange. 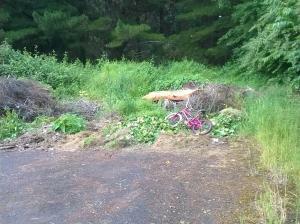 Garden waste, mattress and bike.